Welcome back to Pondering Playtime, my fortnightly series where I share a favourite picture book and a craft or play activity to go with it. 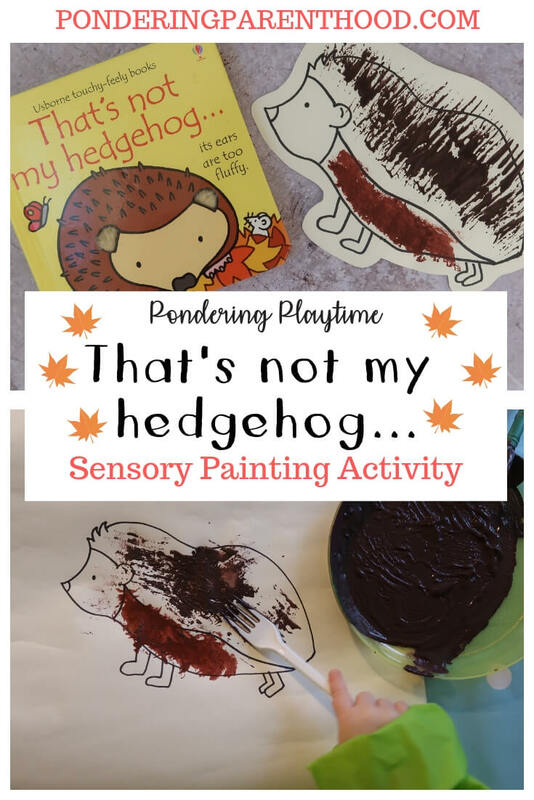 This week, I’ve chosen That’s Not My Hedgehog by Fiona Watt**, and created an engaging sensory painting activity. 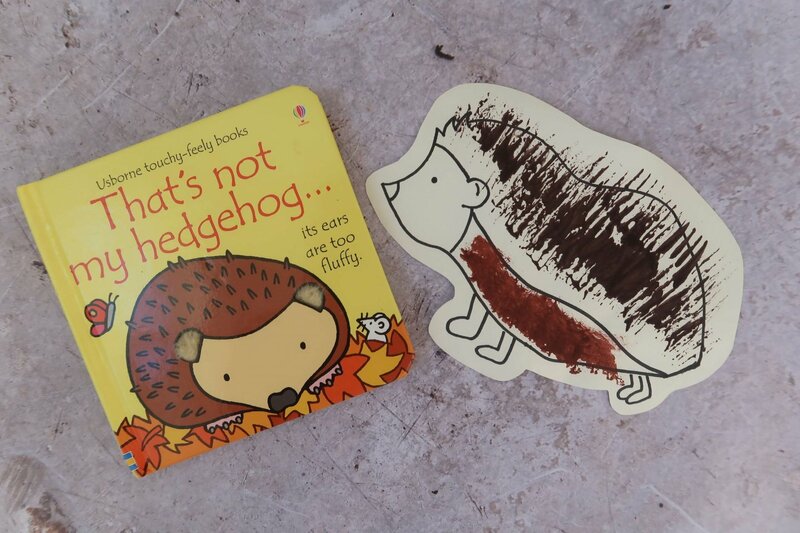 That’s Not My Hedgehog – What’s the Story? 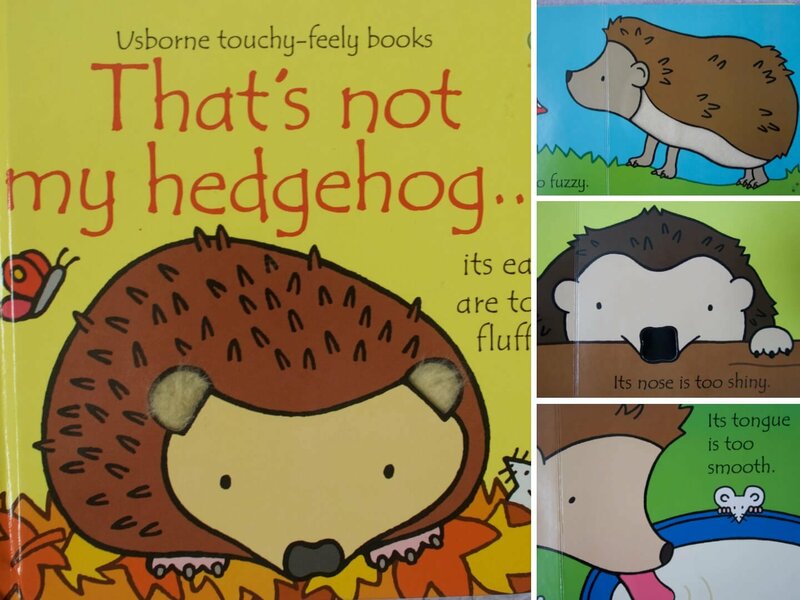 Another title in the ‘That’s not my…’ series by Usborne books, That’s not my hedgehog focuses on the different sensory features of different hedgehogs. Is your hedgehog’s nose too shiny? Is his tummy too fuzzy or his tongue too smooth? Feel the pages to find out! 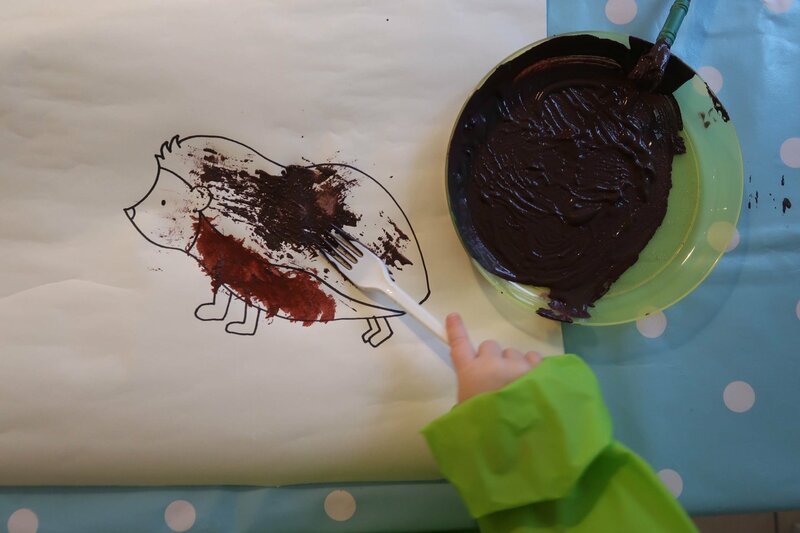 I wanted to do something a little bit more exciting that just painting a picture of a hedgehog for this activity, so we started by making some interesting paint! First, we made foamy paint, by mixing in some foaming soap with our light brown paint. Then we made some rough paint, for the hedgehog’s prickles. We mixed sand with our dark brown paint. 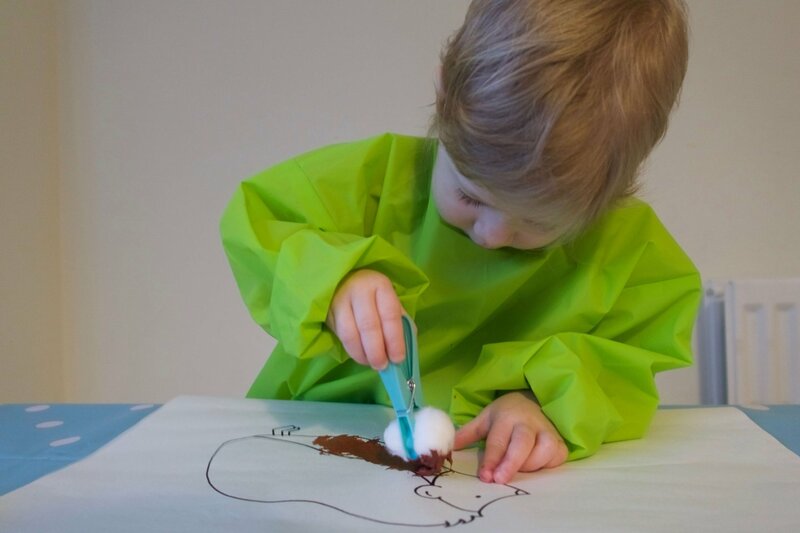 To add even more texture to the activity, instead of using paintbrushes, we used a cotton wool ball on a peg to apply our foamy paint, and a fork to create our prickles. I hand-drew the line drawing of the hedgehog before we started that activity, while M did some colouring of her own. I actually drew two, so that I could show M how to use the different tools. Then she could work on her own hedgehog, which she’d created entirely independently. I think M’s appreciation for a ‘That’s not my…’ book has only increased as she’s got older. We have quite a collection of different titles from the series now, and I’ll often catch her reading them to herself, and feeling the different textures. At ten months old, B is probably in the target category for these books. She enjoys looking at the bright pictures. I’ve even caught her opening one up to look at this week, too! B happily sat in her high chair enjoying this book while M got on with this activity. M loves painting and I’m a bit of a mean mummy as I’m sure we don’t get the paints out as often as she’d like. She loved doing this activity and is very proud of the finished result; she’s shown her hedgehog to all of our visitors this week! Once she’d finished painting her hedgehog, she went free-styling with the paints and experimented with paint brushes, sponges, and even her hands! 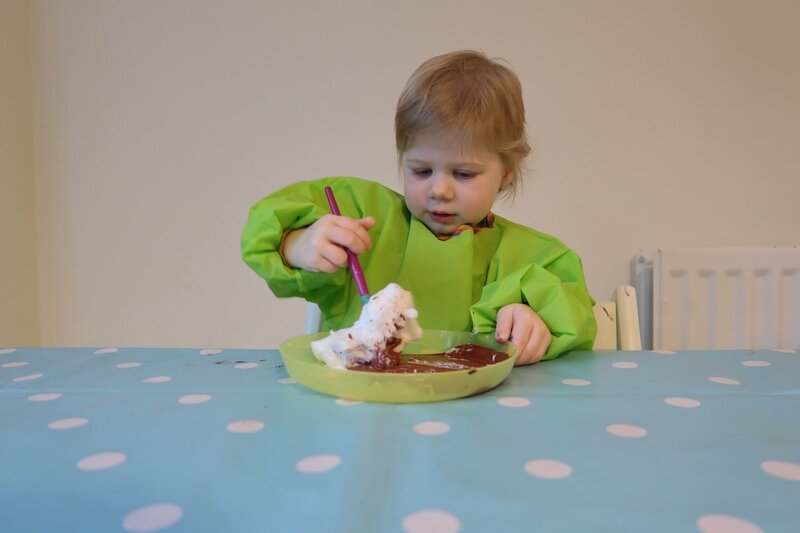 The different textures in the paint definitely added something a little extra for her, and the novelty of being able to use a fork to paint with, seemed to appeal to her. If you’re a fan of the ‘That’s not my…’ books, then check out my ‘That’s Not My Fairy’ sensory tuff spot activity. "The Zog Trail at High Lodge, Thetford Forest"
I love the idea of adding things into the paint to create textures, I love the ‘that’s not my’ books and I hope Imogen does too. M really enjoyed mixing it all up! I think it made it more exciting for her than just a simple painting activity, that likely would have been over with in a couple of minutes, otherwise. We love this series of books, too.